Your health is your wealth and my focus. I’m Lorrie Ross and I’m so pleased to find you here. 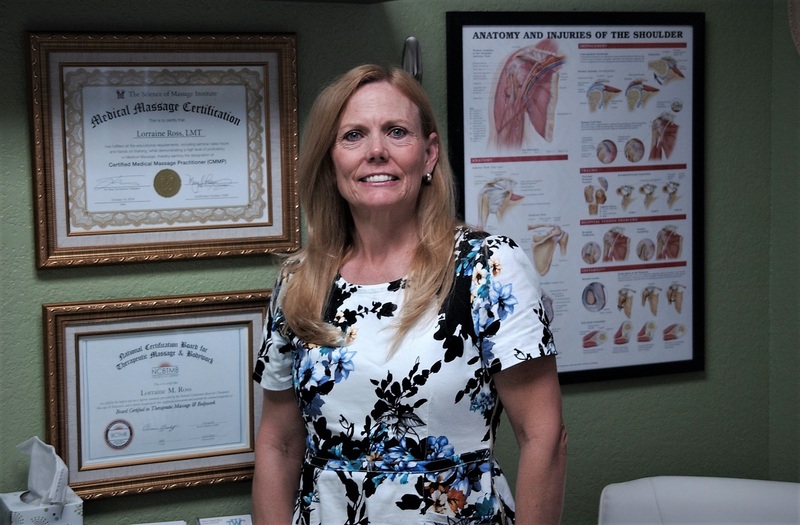 I’ve lived and loved in Punta Gorda since 2010, and have really cultivated my own wellness practices while living in the warm, lush oasis that is SW Florida. 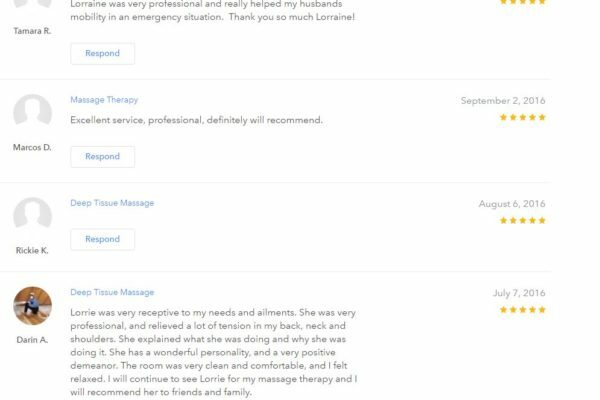 I’ve been a massage therapist since 2009, and as both a practitioner and client of massage therapy, I know how powerful it can be. 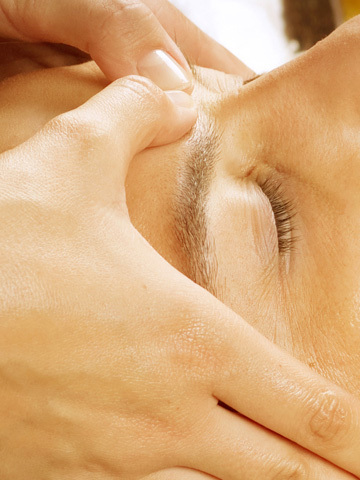 Massage therapy is used by millions to treat pain, stress, tension, and injury. It’s non-invasive and incredibly effective. 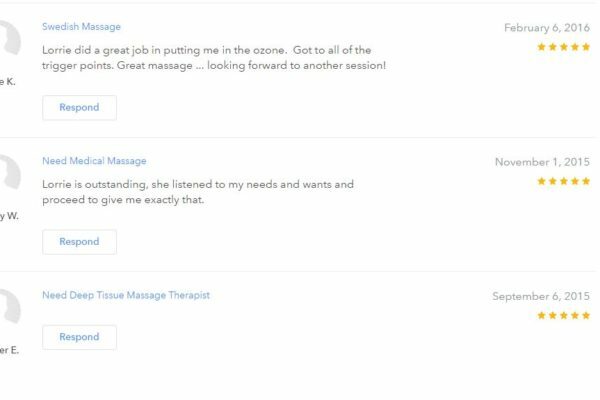 I look forward to sharing my love of bodywork with you, and helping to address the cause of your pain and discomfort. 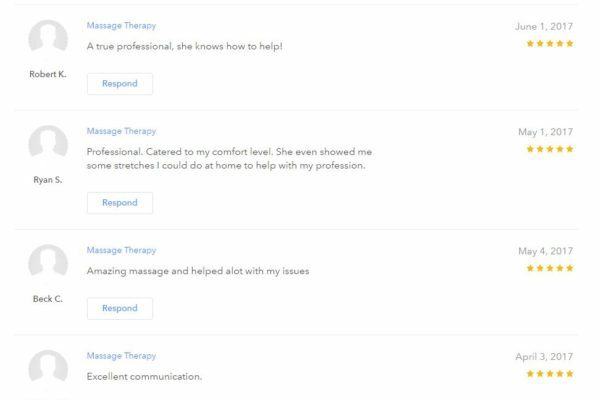 I want to hear from you to see how I can be of service, and help you find more comfort, ease, and mobility in your life as I have found in my own. Decreased muscle soreness in those who received massage either before or after exercise. Even a gentle massage has a proven effect on blood circulation and the nervous system. These two body systems are especially vulnerable to the effects of aging. Geriatric massage stimulates these systems in a natural, pain-free way, with none of the side effects that are present in many medications. This is important for those who are being treated for Parkinson’s disease, diabetes, depression and many other conditions requiring regular medications. Improvement of the patient’s quality of life and self-esteem. 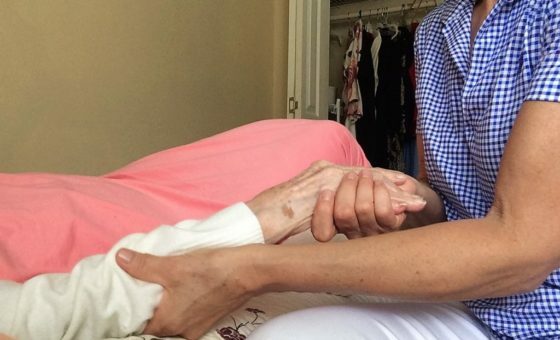 Partial restoration of mobility lost due to Parkinson’s disease, arthritis, etc. Where do I begin? I originally thought I wanted an in-house massage, but after today, I realized what I needed was exactly the opposite. The minute I walked in I started to relax. The setting was warm, inviting and comforting to the eye. Lorraine in was friendly, soft-spoken and kind. But above all else, Lorraine is very knowledgeable & skilled in her profession. She was concerned what my needs were so she could address them. I am sure you to have experienced the masseuse that was like, just hop up on the table so I can move onto the next. Well, not Lorraine. She was genuine and authentic. 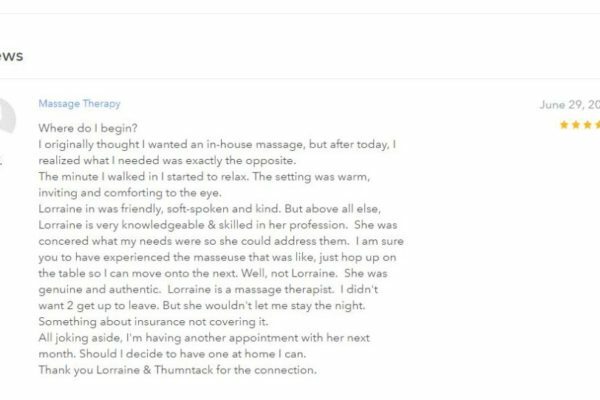 Lorraine is a massage therapist. I didn’t want 2 get up to leave. But she wouldn’t let me stay the night. Something about insurance not covering it. All joking aside, I’m having another appointment with her next month. Should I decide to have one at home I can. Thank you Lorraine & Thumbtack for the connection. A true professional, she knows how to help! Professional. Catered to my comfort level. She even showed me some stretches I could do at home to help with my profession. Lorrie is very professional and caring. She help me with my problem and gave me suggestions. I would highly recommend her to my friends. She is a five star professional! Very good – excellent at finding trigger points and good communication throughout the process. Highly recommended! 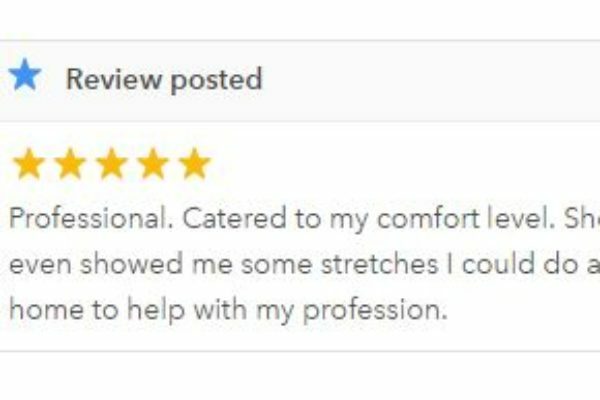 Lorraine was very professional and really helped my husband’s mobility in an emergency situation. Thank you so much Lorraine! Excellent service, professional, definitely will recommend. Lorrie was very receptive to my needs and ailments. 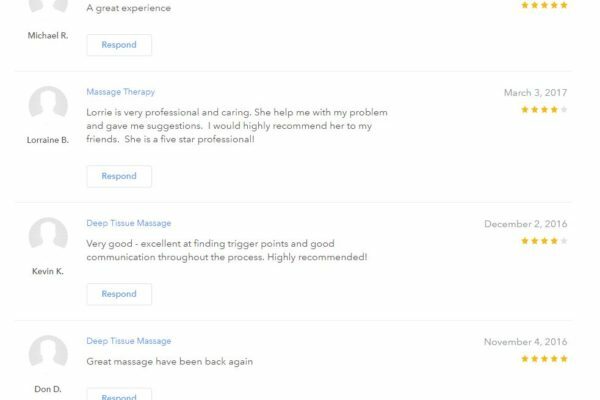 She was very professional, and relieved a lot of tension in my back, neck and shoulders. She explained what she was doing and why she was doing it. She has a wonderful personality, and a very positive demeanor. The room was very clean and comfortable, and I felt relaxed. 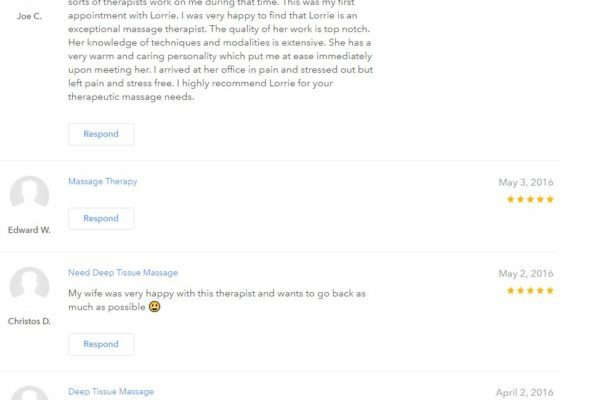 I will continue to see Lorrie for my massage therapy and I will recommend her to friends and family.